CHIBA - Hideki Kawakita doesn’t look like your average real estate agent. Dressed in jeans and a T-shirt spotted with bright purple and yellow illustrations, he looks more like a traveler, or maybe a writer. Perhaps it is precisely his unpretentious manner that has allowed him to single-handedly match vacant houses in various stages of abandonment with new homeowners through his real estate company, Loca LLC. 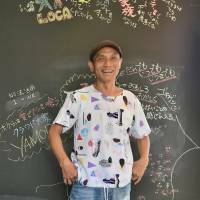 Kawakita, 49, who prefers to go by his nickname, Ali, founded Chiba-based real estate company Loca in April last year to provide services with a socially conscious touch for people in need. Ali set up Loca to address one key aspect of his ultimate goal — creating a community where all people, regardless of age, nationality or background, can belong and feel welcome. 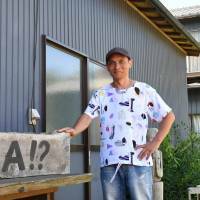 In contrast with conventional real estate firms that are focused on turning a profit, “I wanted to create a real estate business that was based on compassion and sympathy,” Ali said in an interview at his office in Chiba. Ali traces the roots of Loca to where he grew up: A government-run children’s self-reliance support facility for juvenile delinquents. When Ali was 40, on the 100th anniversary of the facility’s establishment, he was asked to give a speech for the children currently living there. “When I went back, I realized that what the kids have to go through — the difficulty of finding a place to belong, and the future that awaits them after leaving the facility — hadn’t changed at all. “I hadn’t done anything for these kids, which was really lame of me. So I began thinking about what I could do to create a place where these kids could live and belong,” Ali said. 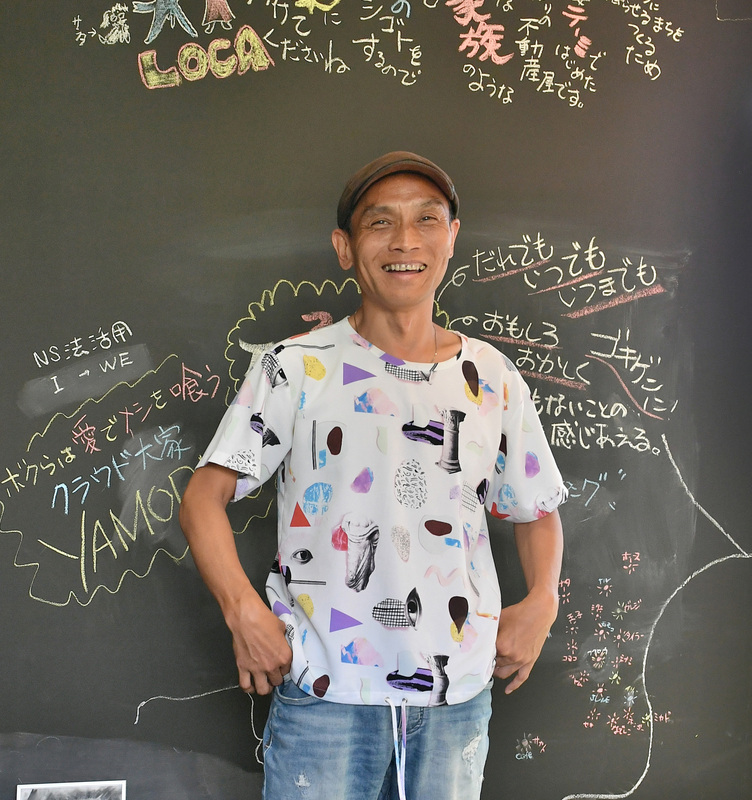 That’s what led Ali to create a precursor to Loca in 2014 — Noca GIA, a Chiba-based organization that provided a sanctuary at a farm for young people with nowhere else to go. Participants included people who had just left juvenile correctional institutions, or those who couldn’t find jobs after leaving self-reliance support facilities. However, when neighbors called the police after seeing one of the Noca residents get upset in a field after a fight with his housemates, Ali had to reconsider how he could create a safe space for the young adults. Noca had to move the participants out of the farm following the incident. “We were trying to create a space where these kids could belong, but we ended up losing that place,” Ali recalled. Drawing on his experiences at Noca, Ali takes on the role of counselor as well as real estate agent when dealing with his customers. “A lot of my customers talk to me about their life problems like I’m their counselor,” he said with a laugh. But understanding the customer is important in making sure people find a place that’s right for them, he added. 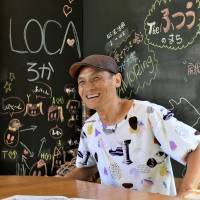 Since Loca took off last September, Ali has found new owners and residents for 24 unoccupied houses around the Kanto region. That compares with a claim by 94.9 percent of 763 “Akiya Banks” in Japan — services run by local governments aimed at finding new owners for vacant houses — that they sealed 24 contracts or less in fiscal 2016, according to a survey by the Land, Infrastructure, Transport and Tourism Ministry. There are an estimated 8.2 million unoccupied houses in Japan, according to a 2013 survey by the land ministry. Although a majority of the houses were available for rent or were on sale at the time of the survey, about 3.2 million houses were neither on the housing market nor in use by their owners. Ali draws a parallel between these semi-abandoned houses and the people he wants to help through his business. “When these houses were built, it was someone’s dream come true. But over time, the houses lost their value and became derelict … the more I thought about such a house the more it seemed to me like a human being, and I would feel the need to take care of it,” Ali said. The simile explains the long list of names chalked onto a blackboard in Ali’s office. The names are those of the houses he is selling or has sold. He christens each house according to its characteristics, with names ranging from Momoko to Skinny. The houses Loca deals with are usually worth ¥4 million or less. Regular real estate agents tend to avoid such properties due to the little profit they bring in. Loca, on the other hand, gets by because of its streamlined operations, only having one agent — Ali — and the high turnover rate of cheap houses. Still, Ali thinks more could be done to find homes for people in need. He believes the 2017 revision of a housing safety net law, which allows local governments to subsidize landlords who do not discriminate against renters, will motivate people to rent their houses out to help the disadvantaged rather than to make a profit. Under the revised law, landlords receive funding by registering their property with local governments and pledging not to refuse tenants who tend to be shunned — such as seniors, those with mental disabilities or people with low incomes. “People who usually can’t find a place to live will have a home, and landlords get some extra money from renting — so everyone’s happy all around,” Ali said of the new system. Although Loca has not yet rented or sold property under the new system, Ali said he hopes more owners will open up their unoccupied houses to people who struggle with finding homes. “I want to create a welcoming environment for everyone, regardless of their past or nationality, at whatever point they are in their lives, without the fear of being discriminated against or kicked out,” Ali said. “Bringing out the best in the people and houses that are considered ‘worthless’ by society fuels my passion to make things better,” he added. 1969 — Hideki ‘Ali’ Kawakita is born in Ibaraki, Osaka Prefecture. 2014 — Founds Noca GIA, an organization that creates a home for young people, such as former juvenile delinquents, who have nowhere else to go. 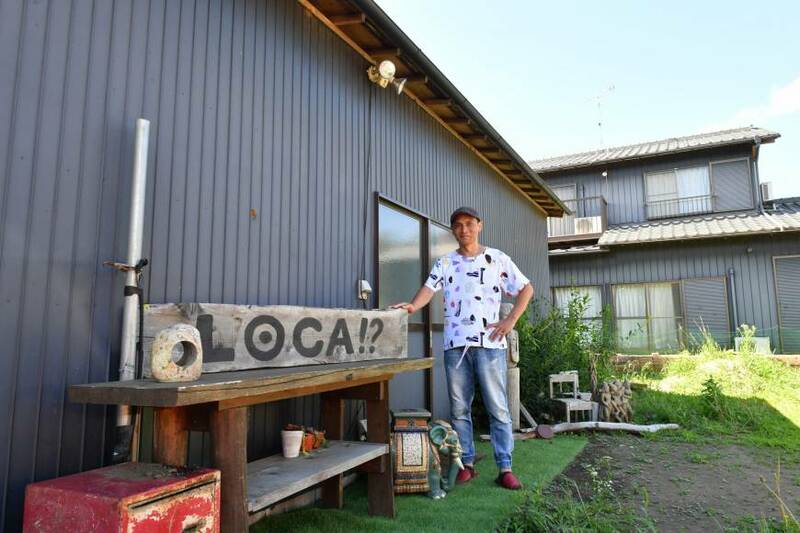 2016 — Kawakita winds down Noca’s activities and decides to open a real estate business.